Lady was in at least 4 Lassie episodes that we know of. My sister and I found 4 scripts when we went through the family stuff. It's so fun to see them. 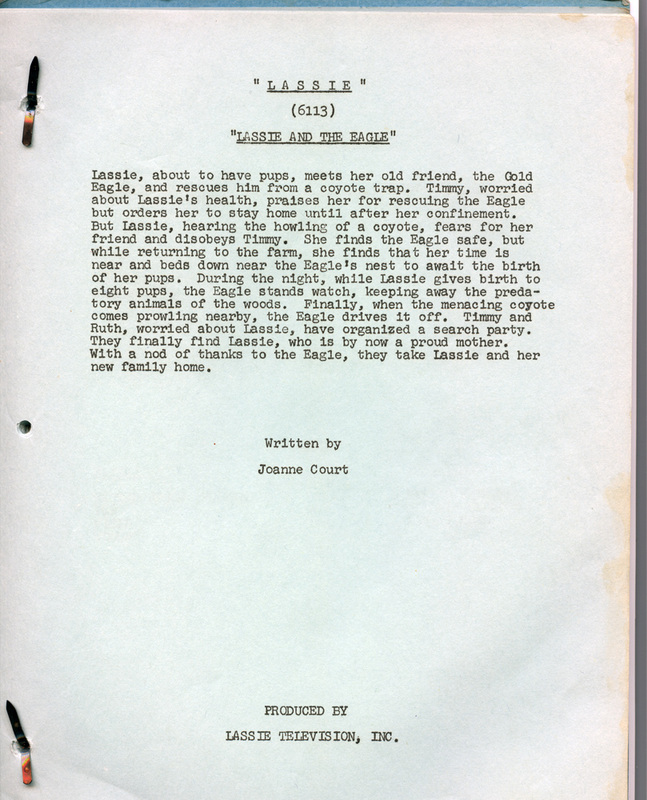 All with Ed Durden's name written on the script and the parts he was responsible for underlined. 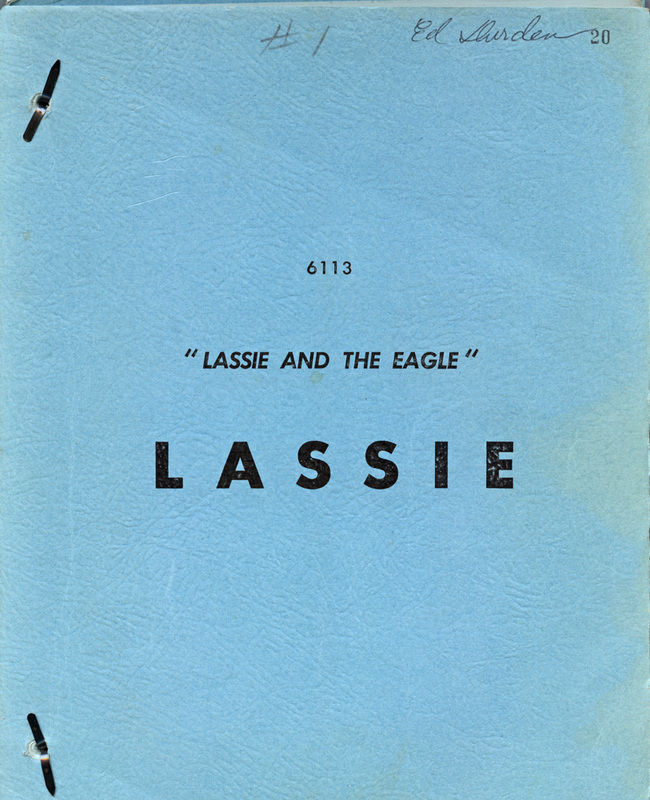 According to credits on some DVD's and websites, Lady's appearance in the Lassie episodes are credited to another eagle. 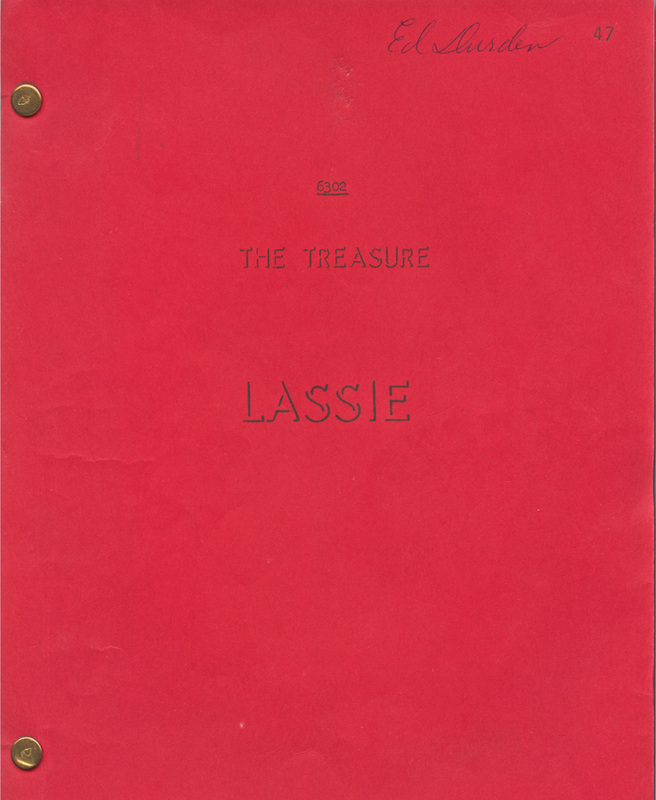 But, we have the proof that it was indeed Lady in the following episodes: The Eagle (1961), Lassie and the Eagle (1962), and The Treasure Part 1 and 2 (1963). I have seen one of these episodes on a Lassie compilation DVD. I don't know if all of them are available.